WorkFlow™, designed by individuals in the field, allows instructors to schedule courses throughout their facility, maintain inventory levels and assess student performance. The question and answer format database, in the Assessment module, allows instructors to customize information to their training needs. WorkFlow™ provides users the ability to generate numerous reports examining time efficiency, student performance and resource usage. 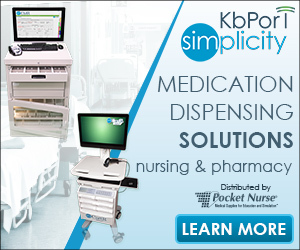 This comprehensive web-based application is customizable and can be accessed throughout the training facility. WorkFlow™ Course Management Module includes assessment capability to allow complete management of simulation sessions, worksheet evaluation and course grade including performance reports. The solution offers flexibility for educators to create evaluation worksheets with text-based, multiple choice, fill in the blank, and rubrics definitions. The assigned score for the worksheet items and weights for each session allows automated scoring and grading of the learner performance. Multiple reports are available within the system to allow comprehensive review of the educational outcomes and simulation effectiveness. 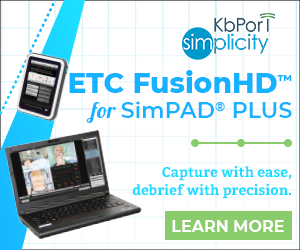 Simplicity™ offers flexible options for easily and accurately assessing simulation sessions. 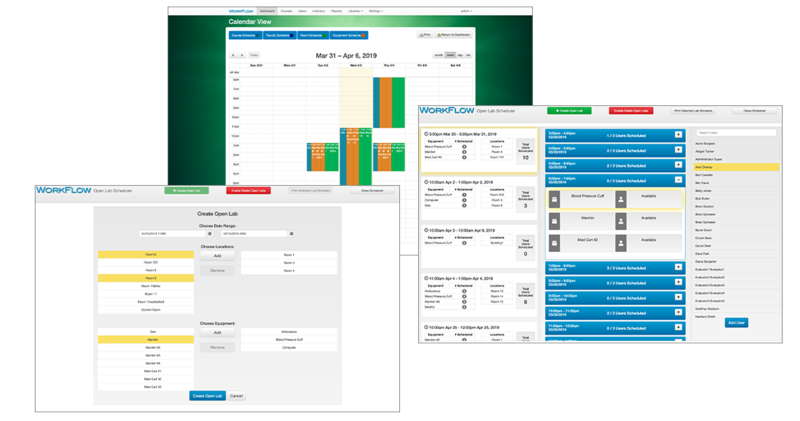 WorkFlow™ Course Management allows multiple session management – including scenario, inventory and schedule management – along with evaluation worksheet and automated course grading. 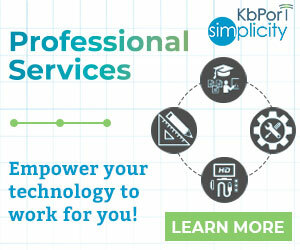 KbPort™ WorkFlow™ now includes rubric-style assessment. Use touch-screen enabled rubrics to gather feedback, measure clinical training effectiveness through learner assessment, and improve reporting processes. 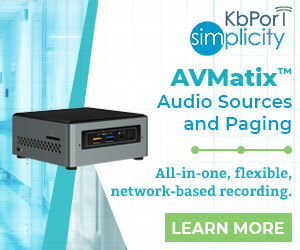 A comprehensive report library offers the opportunity to review educational outcomes and simulation effectiveness, quickly and easily.